Dr. Farnsworth was a senior research ecologist at the New England Wild Flower Society and a consultant to the US National Park Service, Forest Service, and Environmental Protection Agency. Science and art, often considered divergent pursuits, “join hands to inform us all about the ecological and aesthetic value of plants,” Elizabeth Farnsworth once wrote. 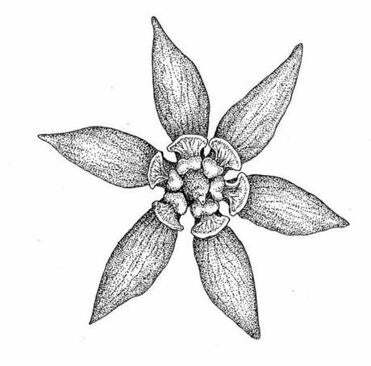 The two disciplines converged in Dr. Farnsworth, a senior research ecologist at the New England Wild Flower Society, who could dazzle an audience by effortlessly speaking without notes for an hour about the state of New England’s plants. She could be equally illuminating in her musings as a writer and artist. In essays and drawings that were precisely detailed and playfully poetic, Dr. Farnsworth shared what she observed in the world around her with everyone from serious scholars to would-be gardeners. She was 54 when she died Oct. 27 after a fall at her Amherst home, her family said. A New Englander all her life, she traveled widely and sent back words and images from afar. One trip prompted a 2010 essay and drawings about a stretch of Oregon rainforest that was both an outdoor laboratory for a “mad scientist” and a magical kingdom out of J.R.R. Tolkien. She felt humbled among Douglas fir trees that were “800 years old, three times older than the oldest of those towering New England hemlocks. . . . How can a scientist-artist hybrid like me, accustomed to studying and illustrating organisms the size of my hand and smaller, possibly take all this in? Slowly, quietly, gradually, meditatively, I suppose.” Dr. Farnsworth took her time (“I cover three feet in three hours”) while putting her powers of noticing to use. “There were few people I ever knew who were more exuberant about their work and at the same time so serious-minded about it,” said her brother, Robert, a senior lecturer in English at Bates College who lives in Greene, Maine. At a celebration of her life held last month, Bill Brumback, conservation director for the Wild Flower Society, gazed from the pulpit at the scores of people who filled the Unitarian Society of Northampton and Florence. In attendance were Dr. Farnsworth’s overlapping circles of friends from science and music, from kayaking and art, from writing and teaching. “I’m learning about all the circles I didn’t know about,” said Brumback, who worked with her for more than 20 years. Dr. Farnsworth’s résumé, he noted, stretched for 13 pages and listed 54 published scholarly papers, hundreds of articles from magazines and newspapers, more than 230 presentations, and several books. 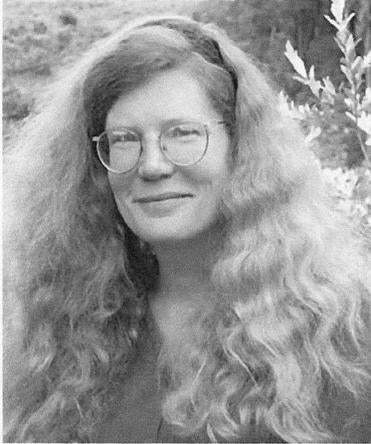 She was the author of the society’s “State of the Plants” report on the status of threats to New England’s native plants, and cocreated the society’s “Go Botany” website. Caulophyllum giganteum (also known as the northern blue cohosh). Elizabeth Jean Farnsworth was born in Boston and grew up in Wellesley, the younger child and only daughter of William Farnsworth, an engineer and Raytheon executive, and the former Jean Gibson, a homemaker. Dr. Farnsworth graduated from Dana Hall in Wellesley — the school still uses drawings she did of buildings back then — and went to Brown University, from which she received a bachelor’s degree in environmental studies. She also graduated from the University of Vermont with a master’s in botany, and from Harvard University with a doctorate, writing her dissertation on the evolutionary and ecological physiology of mangrove seedlings. Her academic studies took her to Scotland, Alaska, and Puerto Rico, along with 17 countries to study mangroves. She formerly was married to Aaron Ellison, an ecologist. Her many awards include Harvard’s Bowdoin Prize for her natural science essays, and her published artistic work included illustrating “A Field Guide to the Ants of New England” (Dr. Farnsworth championed ants, which she considered unfairly maligned).